With a population barely over 7,000 people, Fort Bragg is the largest of the small towns along the sparsely populated Mendocino Coast. 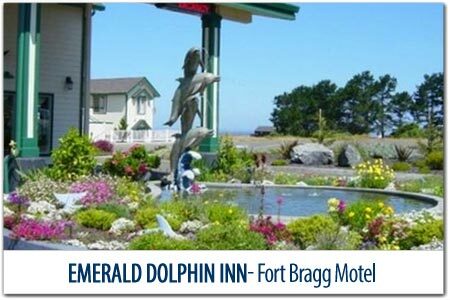 Fort Bragg Lodging ranges from charming Fort Bragg Bed and Breakfasts, beachfront Fort Bragg hotels and economical motels. But where is the fort? In 1857, a military outpost was established to maintain order on the Indian reservation that used to occupy of the area, although it was abandoned within ten years. Soon the saw mills came to mill the redwood that built San Francisco, and as the saying goes, the rest is history. Glass Beach is an unique "Must See" that the kids will love! Many years ago there was a trash deposit in this cove where Elm Street meets the ocean. It's been gone for a long time, but what remains at the waters edge are lots of pieces of rounded ocean glass. 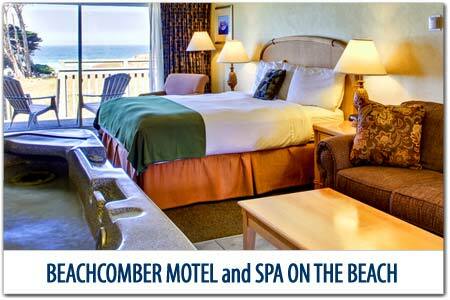 The ocean waves splash on beautiful rocks in the water and it's a wonderful place to watch the sunset. Chances are, you have never seen anything like it, and it is relatively easy to get to. All of the coast along Fort Bragg is absolutely spectacular! 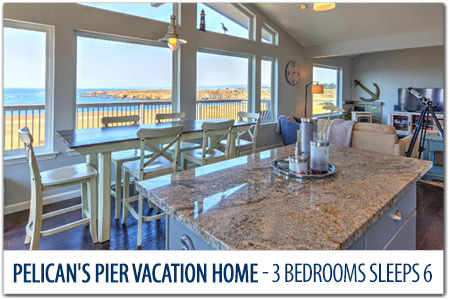 The Fort Bragg of today is a rustic seaside town featuring a fishing village in Noyo Harbor, where you can Charter Boats for fishing and Whale Watching adventures at sea. 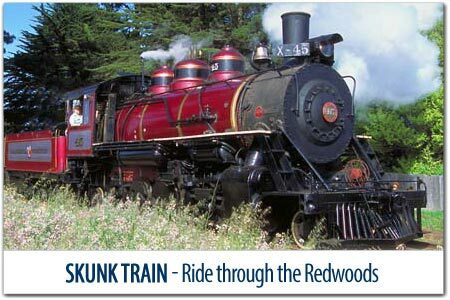 Spectacular beaches, award-winning Fort Bragg restaurants, a world class micro-brewery, interesting shops and galleries and an old fashioned train offering tours through the redwoods are the most popular attractions. Even as Ft. Bragg continues to modernize, the Old World charm has been preserved in some of the historical buildings.